The most wanted criminal suspect in Anambra State, Ikechukwu Udensi (alias Ikanda), was on Friday remanded in Onitsha Prison till May 30, 2019. 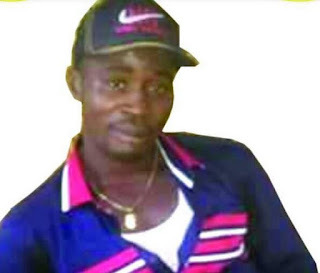 Udensi was charged to court for allegedly killing an Onitsha-based businessman, Ndubisi Nwokolo, on Friday, June 29, 2018, in company of five others who are still at large. He had after the crime gone into hiding for nine months until recently when the long arms of the law caught up with him. Other suspects still at large include Tochukwu Aneke, Eze Okwuchukwu and Ebuka Udensi. 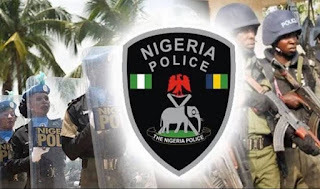 Arraigning the suspect before Chief Magistrate Chioma Amuche of Magistrate Court 2 Onitsha, counsel to the complainant, Chief Barr Charles Okafor, commended the Nigeria Police Force for arresting Ikanda and ensuring his prosecution for murder. He said: “We are looking up to the judiciary to deliver justice in this case. The Magistrate Court Onitsha has no jurisdiction to try the case presided over by Magistrate Chioma Amuche. The only thing she has power to do is to remand the accused person; after which we are coming back on 30th May 2019 for compliance. Present in court was former chairman, Onitsha Market Amalgamated Traders Association, OMATA, Chief Godwin Okeke, as well as the parents and wife of the deceased. Protesters also graced the court premises, demanding swift justice against Udensi for allegedly killing one of their own. Speaking to newsmen, the Chairman of Ogalonye Bright Street Line, Main Market Onitsha, Mr Francis Maduka, said they demand justice to put an end to such atrocity in the state. He said: “Every right-thinking person in Anambra State understood that Ikanda was declared wanted for many killings and atrocities he has committed in Onitsha.